Since buying my first pair of jeans this winter, I've been itching to add some more denim to my wardrobe. 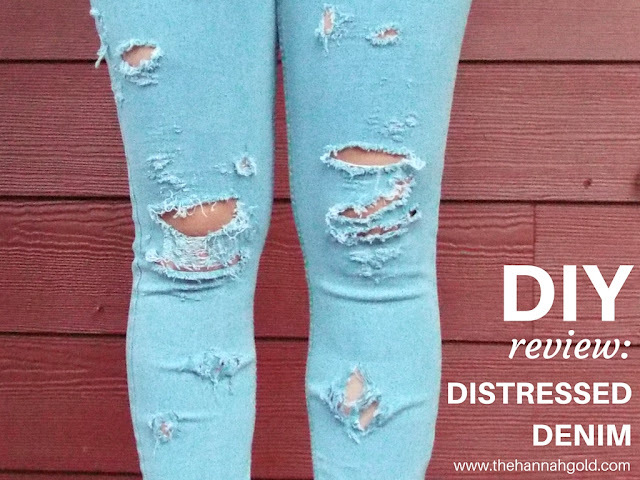 This time, I was looking for a nice pair of distressed denim. After months of looking, I was about to give up, when I decided to DIY my way to destroyed jean happiness. 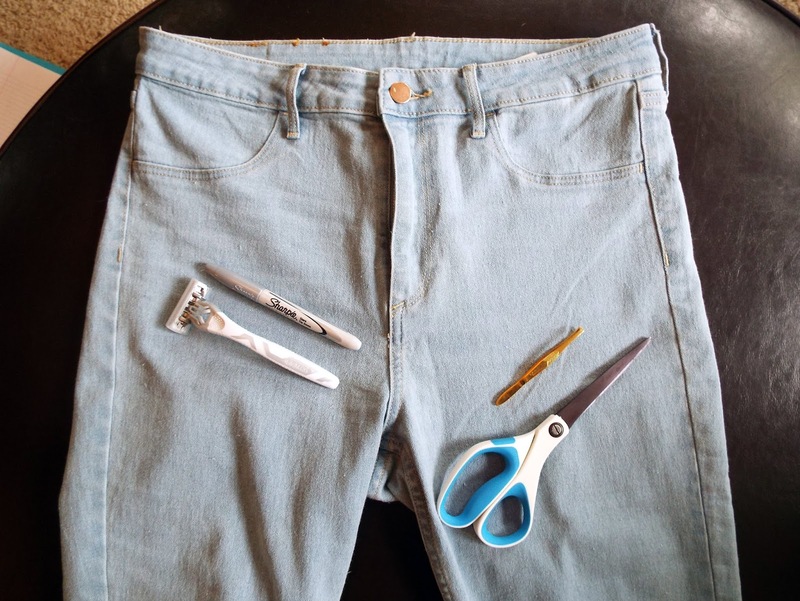 I found this DIY on Pinterest, bought the cheapest pair of jeans I could find, and sat down to make what I'd been searching for. 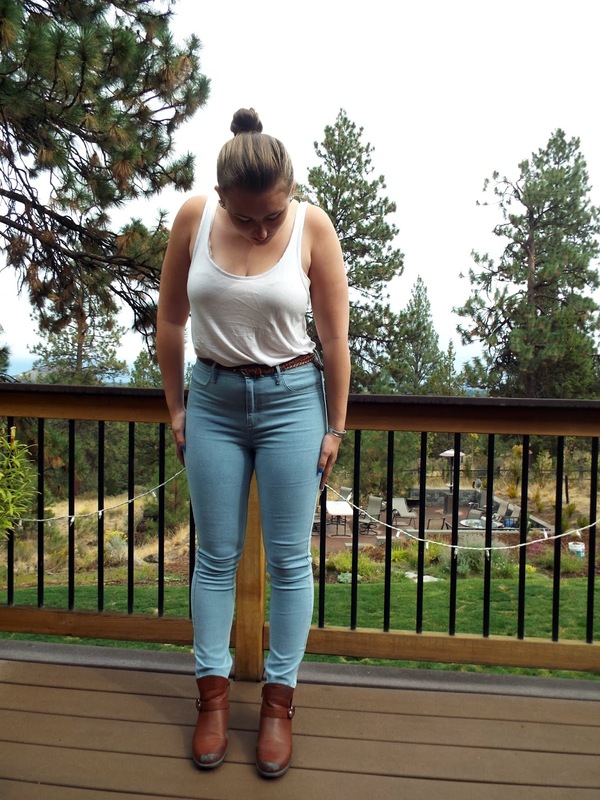 Step 1: Try on your jeans to see where the knees are. Mark places that you'd like to distress. I'd recommend the upper thighs (near the pockets) and knees to start. 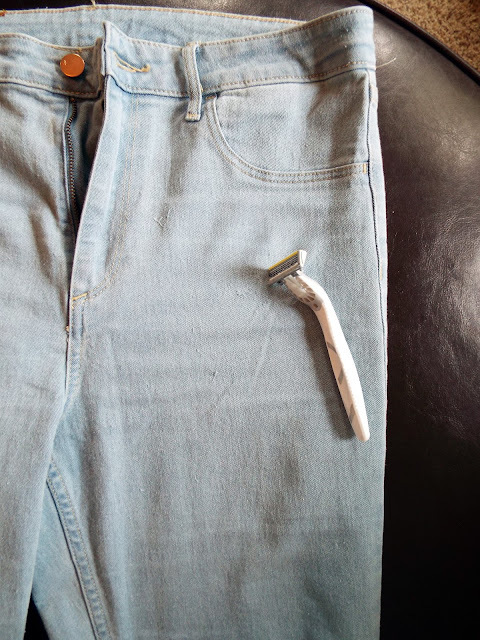 Step 2: Before you tear into your jeans, use the razor to make the material softer and to give it a more natural distressed look (optional). Step 3: Cut 2 parallel slits where you want to create a distressed area. 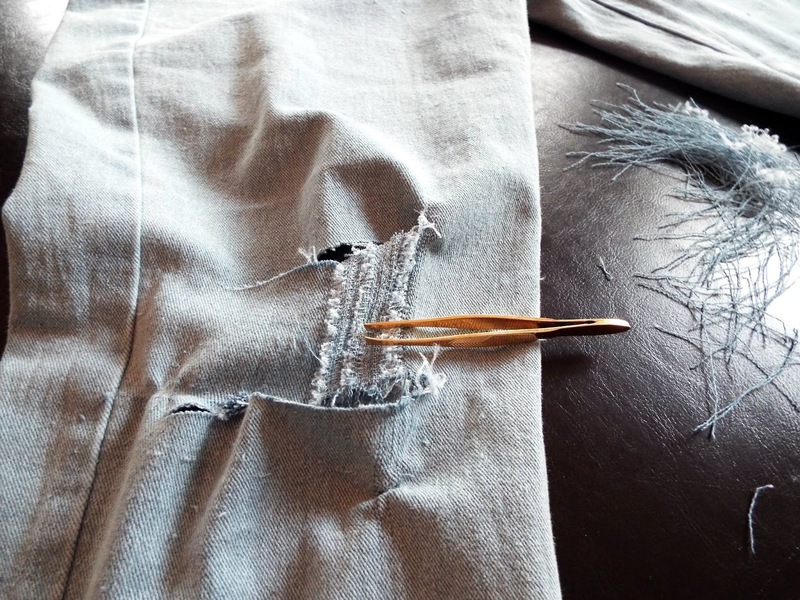 Step 4: Use tweezers to tear out the vertical threads in the area between the two slits. 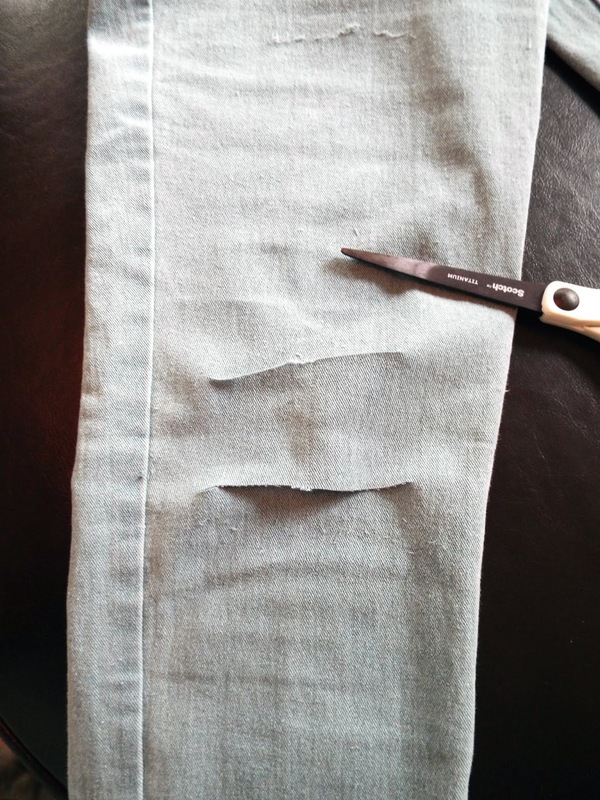 Step 5: Use tweezers to tug the vertical threads on the other side of each slit to create a distressed/frayed look. *Okay, now this is where I strayed off course from the tutorial. I didn't like the way my first distressed area turned out, so I decided to take a different approach. The jeans I bought were only 67% cotton instead of the recommended 100%, so the material wasn't doing what I wanted it to do. 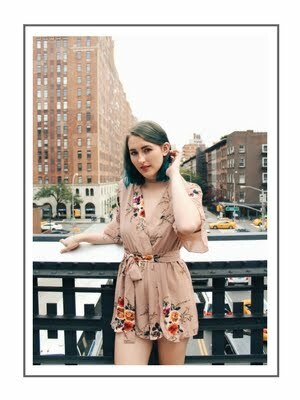 Lauren suggested I just go at the denim with some scissors. Honestly, it was fairly satisfactory. 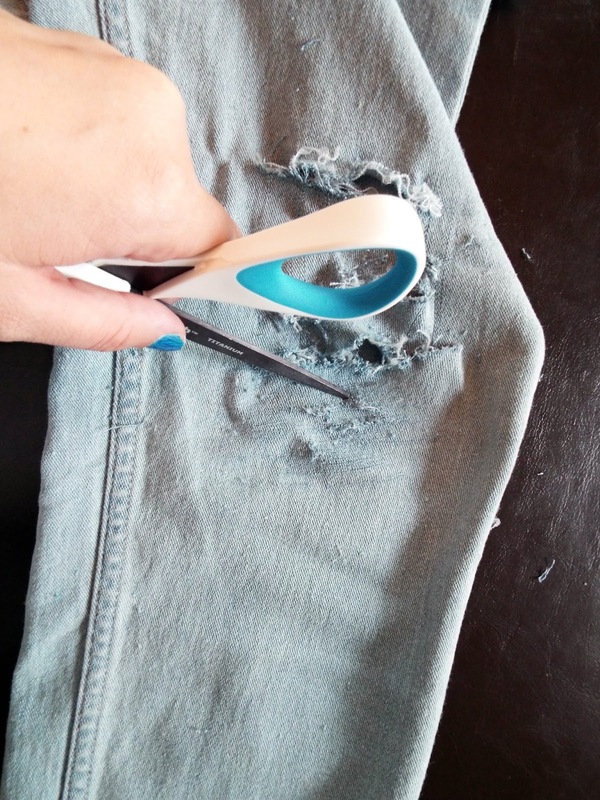 It was much easier and looked more natural than the way I was distressing the jeans before. 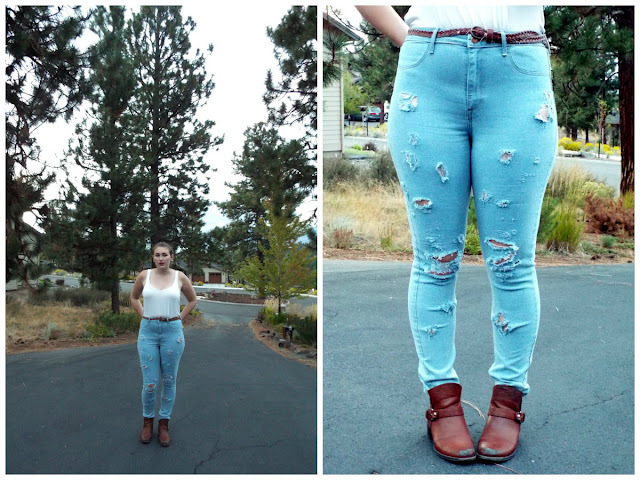 All in all, I like the way my jeans turned out. If I could do it over again, though, I would have planned out which areas I was going to distress better beforehand.